South Dakota is in the Midwestern region of the United States. It is not a densely populated state, so there is enough of wilderness and nature to enjoy it during vacations. You can see the beauty of the Black Hills, sacred mountains to the Sioux tribe and also Mount Rushmore, a major tourist destination that is known all over the world. The Badlands and Wind Cave National Park in South Dakota are also worth to visit. Other national parks and historical places to see are Custer State Park, Crazy Horse Memorial, Deadwood…. South Dakota has rich heritage of Native American culture, some well documented in numerous museums across the state. This is a family owned park in green fields with lots of large trees that offer shade during the day. It is open year around. There are pull-thru RV sites and full hookups with water, sewer and 30/50 Amps electrical service. You can come here with your horse, as there is plenty of space to ride in the area. The sites have picnic tables and fire-rings, ready for setting-up a campfire. The park has three buildings with showers and clean restrooms. 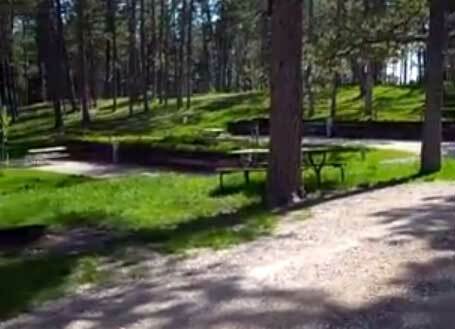 Belle Fourche River runs through the campground, so you can do some fishing. The park is at a walking distance to Belle Fourche’s downtown. Other local attractions are the Orman Dam, Devil's Tower, Deadwood, Mt. Rushmore and several golf courses. 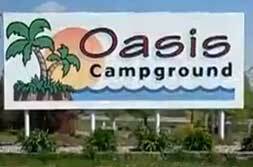 Oasis Campground is located in a small town, next to the Missouri River. It is perfect for families coming either in RVs or just with tents. The park has 72 sites, all of them with full hookups. The rates include electricity, water, sewer, dump station and cable TV. There is also a wireless internet at the campsites. Pets can come along. The park has many facilities such as a game room, pavilion, heated pool, but also the areas for outdoor games and a large playground. From the park you can enjoy scenic views of the Missouri River. Within a walking distance there is Al's Oasis Grocery Store, restaurant, clothing store, convenience store and gift shop. 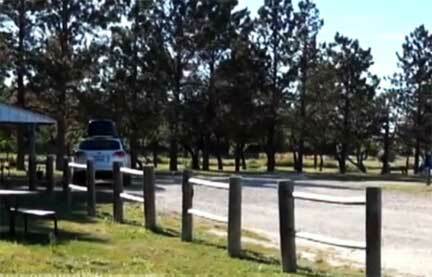 Beaver Lake Campground is located in a wooded area. It is a seasonal park. It has 81 places, 59 of them with full hookups with maximum electrical service of 50 amps. You can have a barbeque at each site, there are fire rings and wood can be purchased from the park. Groups are welcome, and so are families. As the matter of fact, this park is perfect for families, water slide, heated pool and playground certainly can offer a lot of fun all day long. It is possible to rent Tipis and cabins. Here you will be close to all tourist attractions in the Black Hills including Mt. Rushmore, some 30 minutes away from the camp. Sleepy Hollow RV Park is right next to the Wall Drug. All the sites are pull-thrus, 35 with full hookups including 30 and 50 amps electrical service. Wireless internet is available for all guests. The restrooms are sparkling clean. For outdoor fun there is a new playground, basketball, volleyball, and horseshoe area. There is also is a heated pool! Dogs are welcome; to keep them busy, there is an enclosed dog run. You can buy the most important items you may need from the camp store, such as RV supplies, camping supplies, unique South Dakota gifts, and obviously some food items. Sleepy Hollow RV Park is a great location for those wishing to visit the Badlands National Park. It is only 8 miles away from the park while Mount Rushmore and Sturgis are a bit further - some 65-70 minutes away. New Frontier RV Park is located in the prairie area. It has 36 full hookups and 48 pull-thrus. Clean showers and restrooms are very inviting, the same way as the laundry room. There is the trash pickup at the site as well as the dump station. The park offers free wifi-Internet to keep connections with the outside world. At the camps’ office you can rent DVD; for lovers of outdoor activities park also provides bikes’ rental service. You will also find here opportunities for swimming, fishing and golfing. The closest attractions are Fate Dam and the West Bend Recreation Area. With a directory of campgrounds: tent and RV camping parks South Dakota (SD) you can find a nice camp ground based on your needs and required facilities. Whether a beach camp or a nice quite campground is what you are looking for, you can use the directory to help. Taking a recreational vehicle and traveling all over, the country makes sense to many campers. There are campgrounds for the pop up camper, motor home and the mobile home. South Dakota in the summer has many things to do. Sturgis is a big part of the SD tradition and you will find pop up campers and a motorhome trailer everywhere you look. The directory of campgrounds: tent and RV camping parks South Dakota (SD) will help you find a campsite nearby the festivities during any event happening in South Dakota.